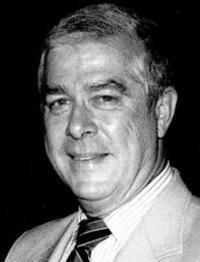 Vertipedia - Harry Edward Gilliand, Jr.
Ned Gillian, 77, a former member of the storied Army Helicopter Square Dance Team, passed away at his home in Dover, New Jersey on March 19, 2009. Drafted into the Army in 1942, he quickly found his way to the Army’s Warrant Officer Helicopter Pilot Training Program at Fort Sill, Oklahoma, where he so impressed his superiors that he was asked to remain as an instructor pilot after graduation. During his Army career, he flew almost every type of rotary wing aircraft in the service’s inventory, typically averaging 100 flight hours each month. When he was selected to fly with the Army Helicopter Square Dance Team, he began performing at air shows and special functions across the United States. Following his retirement from the Army in 1957, Floyd Carlson at Bell Helicopter took note of the promising pilot and hired him as a combination production test pilot, instructor pilot, and on occasion a demonstration pilot. In 1978, he assumed the leadership of the USA Helicopter Team that performed in an international flying competition, the “Third World Helicopter Championships,” held in Vitebsk, Russia. During his career, he performed before heads of state, movie stars, radio and TV personalities, as he amassed more than 15,000 hours of rotary wing flight time. He authored a popular book on his experiences with the Army’s Helicopter Square Dance Team titled, “Dancing Rotors.” Veteran AHS Annual Forum attendees will remember that Ned served as the Society’s flight control officer in 1995 for the AHS Annual Forum in Fort Worth, Texas, when the Army arrived at the Convention Center with its collection of Russian helicopters. The sight of a co-axial rotor Kamov 32 so alarmed local members of the state “militia” that they arrived in pick-up trucks, armed with Winchester rifles, prepared to defend the community. The aircraft were in fact flown by Army warrant officers.